Portland garden friends! The summer garden touring season has one last gem to offer. A great private garden tour is coming up this Sunday showcasing five of west Portland's fantastic and unique gardens. 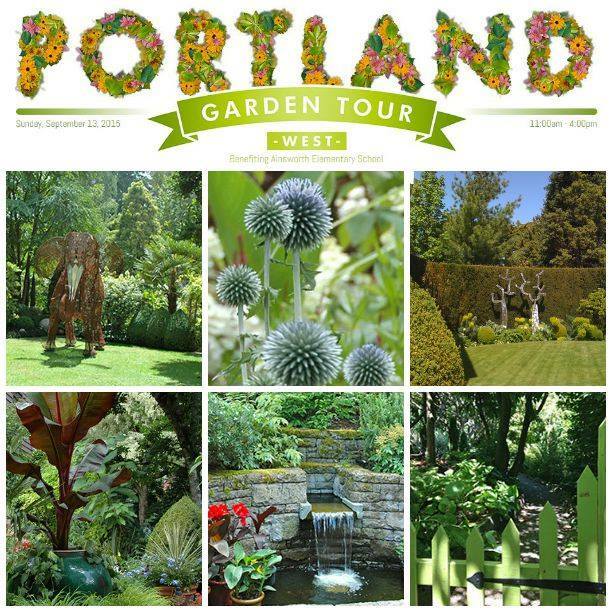 Portland Garden Tour West is in its second year. You may remember my blog post about the Torch family garden from last year's inaugural tour. That post can be revisited here. Proceeds benefit Ainsworth Elementary School specifically through literacy support, art programs (yay! ), and the science fair and technology lab. It's a win-win and a great chance for garden lovers to find inspiration and take lots of photos. From the tour website: Carved out of an old apple orchard, this legendary 2½ acre garden offers the opportunity stroll through an endless collection of rare and unusual trees and plant specimens that were lovingly envisioned more than 70 years ago and planted, nurtured and preserved over the ensuing decades. The epic garden is truly a Portland treasure. From the tour website: Inspired by gardens on the East Coast and abroad, every corner of this garden has been meticulously and lovingly designed. The manicured lawn, espaliered fruit trees and geometric boxwoods provide a structured backdrop for flowering perennials, trailing vines, and a striking view of the city and Mount Hood in the distance. From the tour website: Designed and nurtured over the course of several decades, it is easy to get lost in this rambling garden (not quite a full acre). 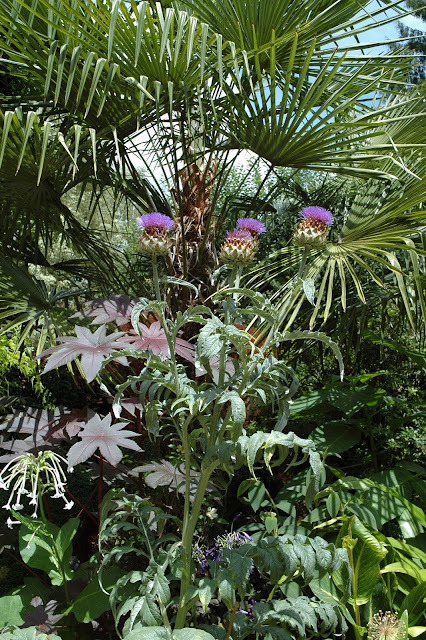 The playful juxtaposition of species mixes hardy tropicals, unusual natives, mature trees, and delicate herbs, creating lush layers of textures and proportion. The goldfish pond, brick pathways, lath house, and whimsical wire sculptures provide delightful contrast. From the tour website: Not one square inch is wasted in this inviting, artistic and abundant 3-level garden. Flowering herbs and shrubs give way to sunny fruit and vegetable beds brimming with the spoils of the harvest. A tranquil fountain offers a peaceful spot to relax, while listening to the soft murmuring of chickens in the coop. Tickets are available here or they can be purchased for $30 at the following locations: Strohecker's, Zupan's, Portland Nursery, Cornell Farms and the Ainsworth School Office. It's a self-guided tour, and you can go at your own (slow for me) pace. The Oregonian recently wrote a column about the tour, you can read that here. Be sure and stay tuned for post-tour coverage and photos, I have a feeling many of us Portland Garden Bloggers will be running into one another. As all of these gardens are new to me so I am especially excited to experience them first-hand. Sponsors include the fabulous Garden Design Magazine. Thank you for reading. Hope to see you on the tour!